The annual Libro Chamber Young Professionals Mentor Mix and Mingle has become one of the most popular networking events of the season because of its unique “speed dating” style. This year, over 120 Young Professionals came out after work and class to Maxwell’s Concerts and Events to ask questions, hear about overcoming challenges, and discuss how to build a successful career in Kitchener-Waterloo. You are guaranteed to walk away from with either a relevant connection or at the very least a practical piece of career advice from a seasoned pro. The mentors are from a wide variety of career paths, and so the audience of Young Professionals is very diverse (as opposed to a career-specific meetup). There is a great ratio of mentors to mentees (typically about 6:1) so you are not only meeting other peers to connect with, but also potential employers and personal mentors. 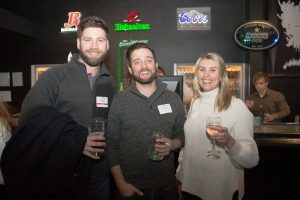 Didn’t make it to the Mentor Mix and Mingle? You can find the next Libro CYP event coming up right here. We’d like to thank all of our ambitious and bright Libro CYPs who came out to make this a great event again in 2019! And of course a huge thank you goes to our mentors who gave us their time and wisdom to help support career growth in the Region. Did you snap a picture at the Mentor Mix and Mingle? 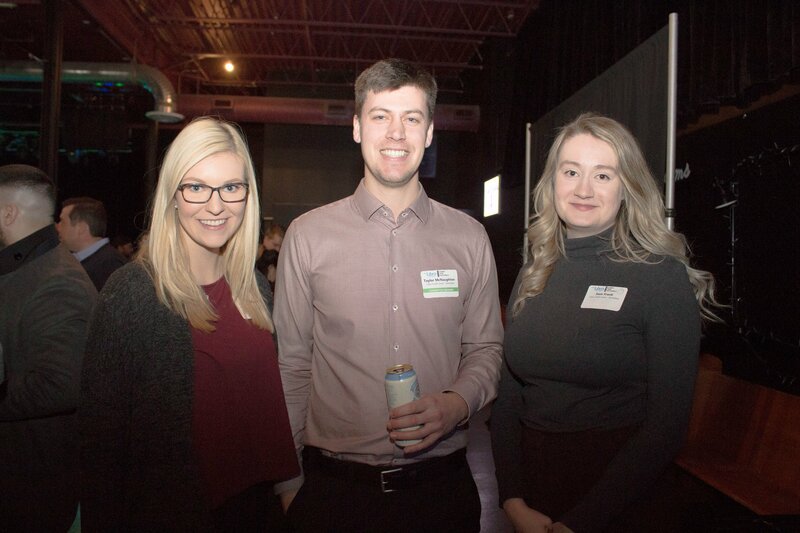 Share it on social with the hashtag #KWCYP and you’ll be entered to win tickets to our complete 2019 – 2020 networking season! We can’t say enough about these amazing entrepreneurs and professionals who gave us a bit of their time and expertise so that we can grow into great leaders, too. 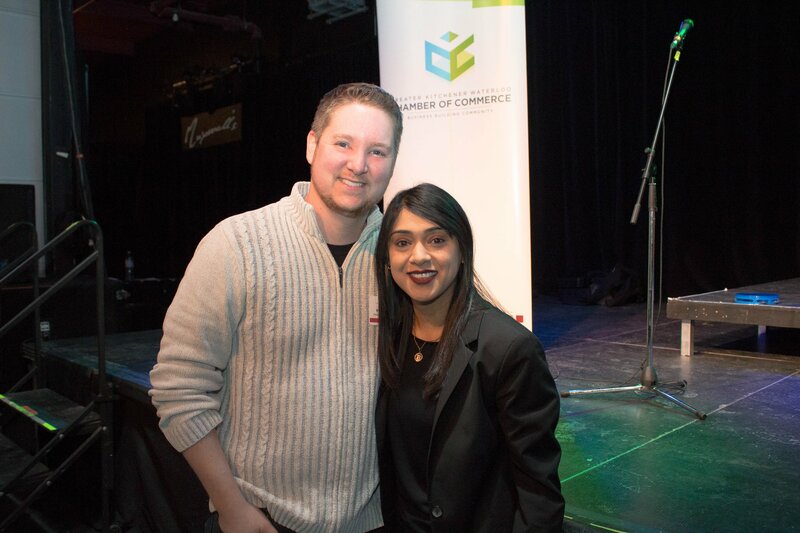 Tracey Johnston-Aldworth, Owner & CEO of Traces Screen Printing Ltd.
Michael Snyders, President of Future Focus Inc.
“I manage three dozen kitchen & support staff daily. I am an Employer. I work with local farmers and food producers. I am a Consumer. I share with Service Clubs, Students, Teachers, and Business Owners. I am a Speaker. I cook delicious meals and come up with new Hors d’oeuvres. I am an Artist. I manage expectations & hold our clients hands. I am an Event Planner. I sit on Boards, I contribute to the community and I donate my time. I am a Volunteer. I talk to people and connect with them everywhere I go. I am a Networker. I am a mother, a wife, a sister, a daughter, a friend. I am a Woman. Did you miss out on this chance to make connections? 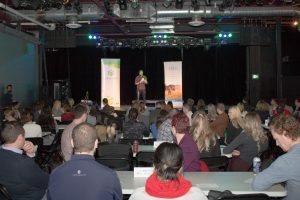 See the full networking events calendar for Kitchener-Waterloo right here.